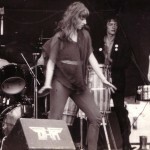 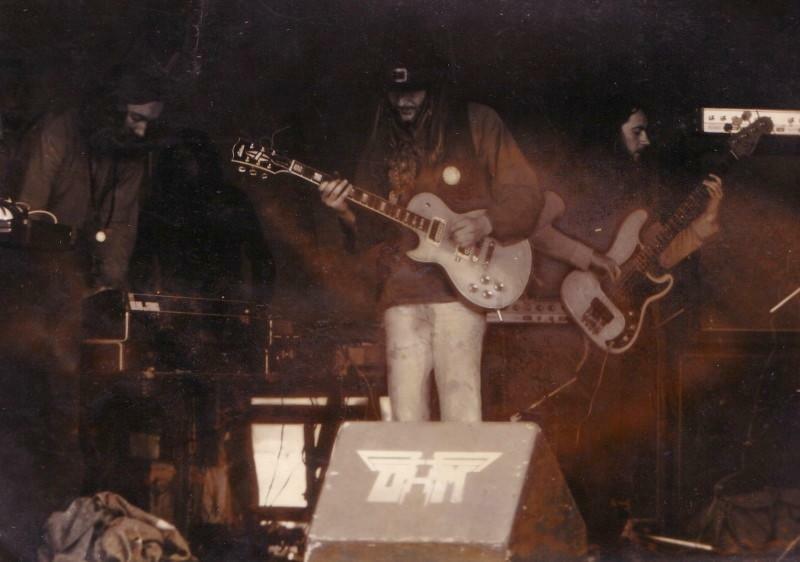 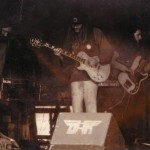 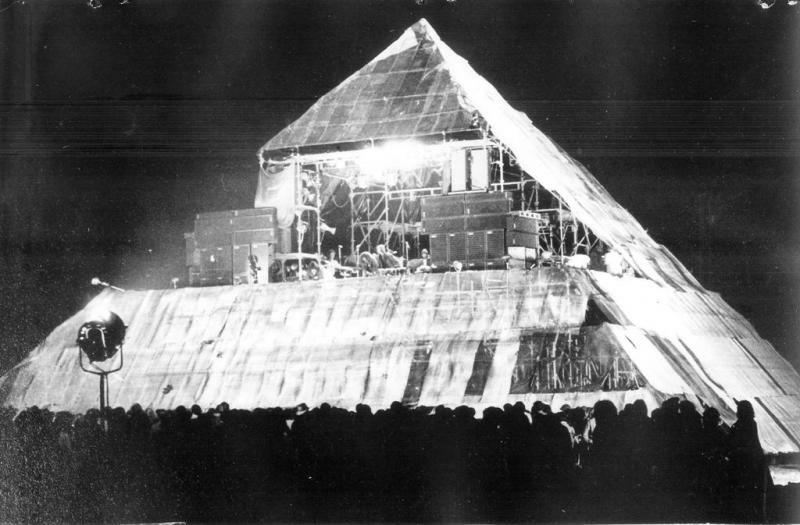 Main stage at night, lighting and sound systems a little simpler back then as well. 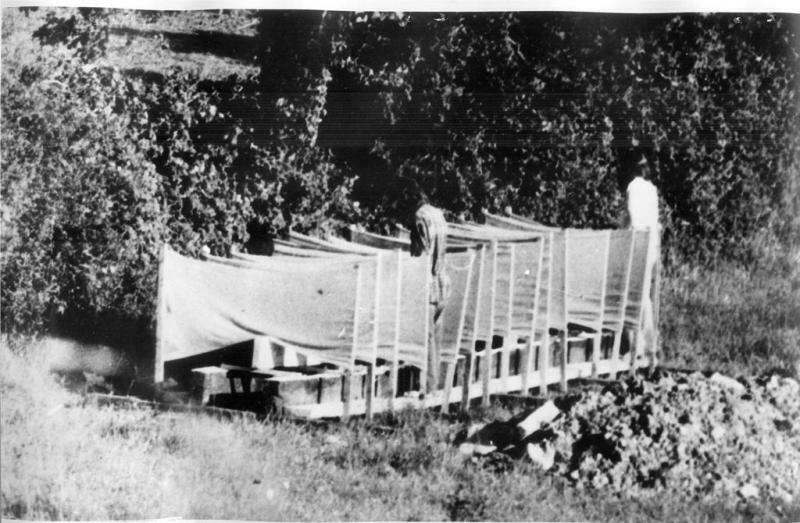 A hole and a few planks were the loo's with some sackcloth to cover your modesty. 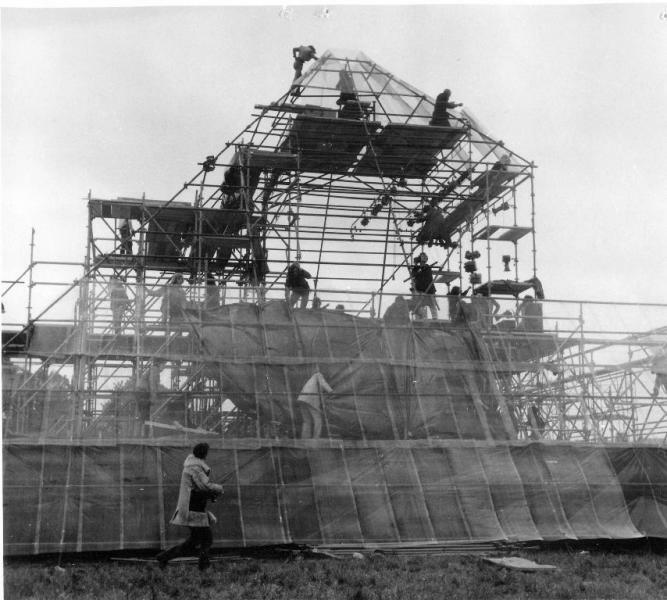 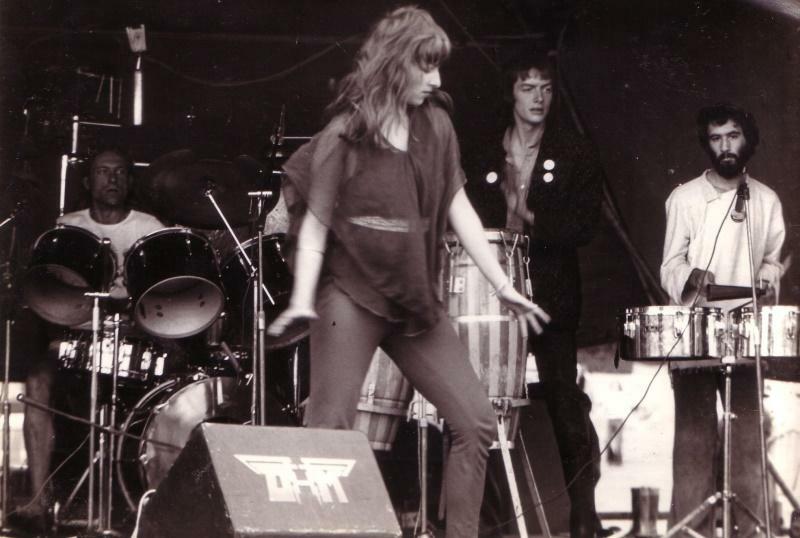 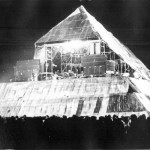 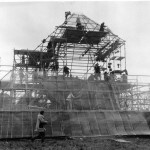 Pretty sure this is the first incarnation of the pyramid stage. 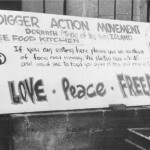 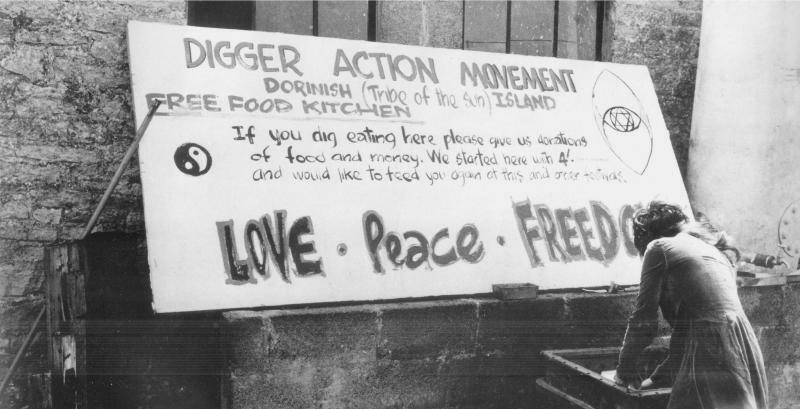 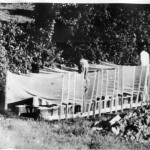 Digger Action Movement provided food kitchens at early events.